TVIB has partnered with SafeMARINER, LLC and ACTion group (d/b/a ACTSafe Training) in this Coast Guard Recognized Marine Internal Lead Auditor course, which is designed to teach the specific skills and knowledge necessary to conduct and lead internal audits for commercial marine companies. This fast-paced, informative course requires active participation and successfully completing practical exercises, quizzes, and a final exam in order to earn a certificate. This course meets the requirement of ANSI Z 490.1 Criteria for Accepted Practices in Safety, Health and Environmental Training and 46 CFR 138.310(d)(2) for those individuals performing internal audits under Subchapter M.
This is NOT the appropriate course for those individuals seeking certification to perform TSMS audits for TVIB as a TPO. TVIB has partnered with SafeMARINER, LLC and ACTion group (d/b/a ACTSafe Training) to present this course. The one day course covers: Qualitative Risk Assessments (QRA), Risk Assessment vs. Risk Management, overview of the ISO 31000 Risk Management standard, best practices in JSAs and the “Risk Pyramid.” Participants will leave this course with a better understanding of what risk tools are and how to use select risk tools in a marine organization. Participants will be provided with a process to conduct Qualitative Risk Assessments and Job Safety Analysis. Principles of risk management including risk strategies will be covered. TVIB has partnered with SafeMARINER, LLC and ACTion group (d/b/a ACTSafe Training) to present this course. As the industry enters into a regulated management system world, the TSMS becomes critical. The one day course covers: the history of Designated Person (DP), understanding the importance of TSMS purpose, design, implementation issues, DP requirements for RCP, Sub M & ISM Code, critical success factors for successful management systems, advanced view of James Reasons’ causation model, Management of Change, Hierarchy of Controls, what should generate corrective and preventive actions, effective Management Review practices for high performing organizations and more. These subjects, and more are explored using case studies, videos, group discussions and practical exercises. This course is critical for managers and DPs in a regulated world. Subchapter M requires auditors to successfully complete a training course for auditing a Towing Safety Management System (TSMS). 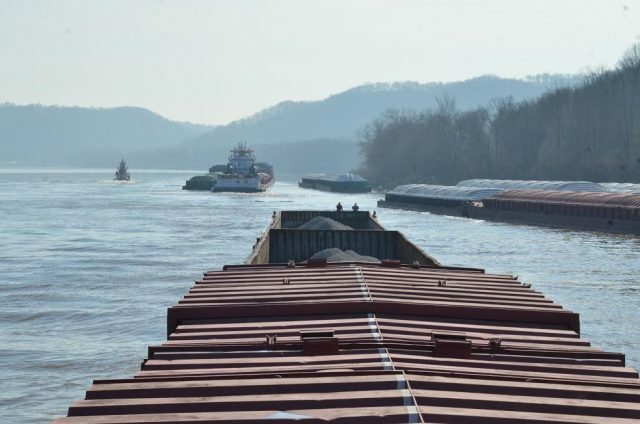 This three-day course teaches external (third-party) auditors how to audit a company’s TSMS, with an emphasis on those companies using the American Waterways Operators’ Responsible Carrier Program as the framework for their TSMS. Students who successfully complete this course will have an in-depth understanding of auditing both safety management systems and the vessels that operate under those systems and what compliance means under Subchapter M. This is the appropriate course for those individuals seeking certification to become an approved TPO Auditor, as well as an RCP Lead Auditor/Vessel Auditor. This course is also ideal for company personnel who want to better understand the expectations of their external auditor. Our four day Annual Survey of Towing Vessels course provides surveyors with the knowledge and skills required to perform Subchapter M surveys of towing vessels. Students who successfully complete this course will have an in-depth understanding of both internal survey programs and external survey programs, the reporting requirements of each, and is the appropriate course for those seeking certification from TVIB that will put them on the path to becoming an approved TPO Surveyor.